Meninges are the outer layer of the central nervous system and provide a protective covering for the brain and spinal cord. Inflammation involving the meninges is called meningitis. There are many causative factors related to meningitis. They include infections caused by viruses, bacteria, parasites and fungi. Meningitis also occurs in association with certain types of cancer like breast cancer, bronchial cancer, leukaemia, lymphoma and auto-immune disorders like Sarcoidosis, Systemic lupus erythematosus and Behçet’s disease. Meningitis can have an acute or a chronic presentation. There is a possibility to vaccinate against this disease but how effective are meningitis shots? Meningococcal infection commonly presents with features of high fever, chills and rash. Viral meningitis is the most common form of disease. It is usually a self-limiting disease and requires no specific therapy. Patients are treated symptomatically and complete recovery is the rule. Bacterial meningitis is caused by a multitude of bacteria. 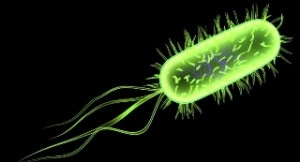 They include Meningococci and Pneumococci, Haemophilus influenza, Escherichia coli, Proteus and Group B streptococci. Bacterial meningitis occurs due to presence of bacteria in the blood circulation. The source of infection can be ear infection or sinusitis. The meningococcus and other common causes of meningitis are normally present in the upper respiratory tract. New strains are also acquired by the air-borne route. Epidemics of meningococcal meningitis occur usually in cramped conditions. The bacteria invade through the nasopharynx, producing septicaemia and meningitis. Meningococcal infection commonly presents with features of high fever, chills and rash. Features of headache, neck stiffness and seizures may appear on development of meningitis. In severe cases, patient may go into shock which rapidly proceeds to coma and death. The mortality rate is about 10% even with optimal treatment. One fifth of patients who recover from serious illness may develop permanent hearing loss, paralysis of a limb or brain damage. Prevention of meningococcal infection: Meningococcus bacteria are of 13 different types. Of these, five types commonly cause meningitis. These include group A, B, C, Y, and W-135. The relative importance of these five groups depends on geographic location. 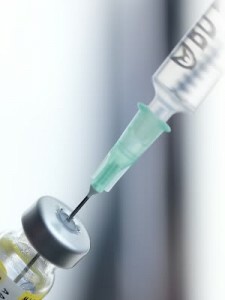 Vaccines are available for the prevention of disease caused by meningococci of groups A, C, Y, and W-135 but not group B which is the most common group isolated in many countries. Routine immunization of children is not recommended. The indications are listed below. Meningococcus bacteria are of 13 different types. All 11-12 years old children should be vaccinated with meningococcal conjugate vaccine (MCV4). Booster dose should be given at age 16 years. Children who receive the first dose at age 13 through 15 years, a single booster dose should be administered at age 16 to 18 years. Children who receive their first dose of MCV4 at or after age 16 years do not need a booster dose. The MPSV4 vaccine is given as an injection into the fat (subcutaneous injection) of the arm. The MCV4 vaccines are given in the muscle. Both meningococcal vaccines are very safe. A small percentage of people develop mild fever. Severe allergic reactions are very rare. The MPSV4 vaccine is 85 to 100 % effective at preventing infection from meningococcus subtypes (A, C, Y and W-135). However, the vaccine does not protect against serogroup B meningococcus. Laboratory studies have shown that MCV4 is as effective as MPSV4 and provides a longer duration of immunity. Although meningitis is a serious disease, vaccination is not recommended as a routine for small children and adults. CDC recommends shots only for children at the age of 11 – 16 years old or people living in specific conditions. ← Advantages of sauna – what are they?